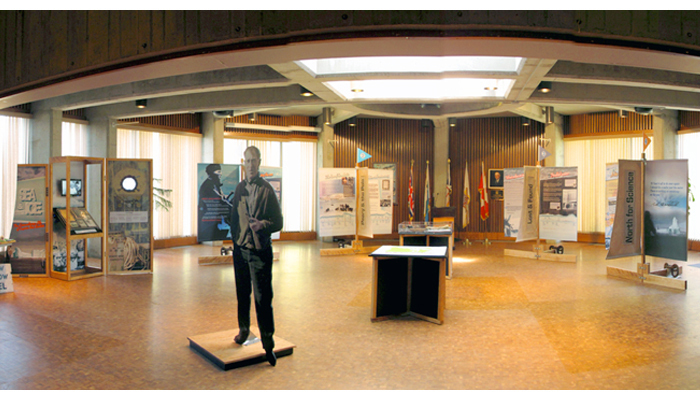 This traveling exhibit was designed to commemorate the achievements of Captain Bob Bartlett's. His story combines elements of Northern exploration, the lure of the Arctic, courage, endurance and scientific discovery. Our objective was to refresh and revive the appreciation of Captain Bartlett’s deeds and to highlight them in the context of his time and our own. All components had to fit into a regular-sized van, ready to be assembled in a couple of hours at a new location every three days. Thousands of visitors enjoyed the story of Captain Bartlett in the nine ports of call of the schooner Bowdoin.